The U.N. Conference on Sustainable Development was held last year at Rio de Janeiro – also known as Rio +20 because it was 20 years prior when the U.N. Earth Summit was held in Rio and the term “sustainable development” became mainstream. Sustainable development is defined as meeting the needs of the present without compromising the ability of future generations to meet their own needs. Although The Earth Summit was focused on environmental conservation, sustainable development actually has a broader application. It is now the main approach of development work today. Earlier, foreign aid was similar to the U.S. Marshall Plan that injected millions of dollars into the post-world war II recovery of Europe. However, the gap between rich nations and poor grew as time went along. After World War II, many countries gained independence but remained economically dependent on their colonizers. Witnesses to this growing divide between the more and less developed countries suggested an approach that was in the middle ground between the state-controlled economics of communism and the hands-off free market approach of capitalist societies. One implementation of this method was the levying of high import tariffs to shelter infant economies from global competition. This seemed to work well for the Asian Tigers like Singapore and South Korea who today have graduated from developing world status, but it didn’t seem to work for the extremely poor countries – especially those that fell into civil war after decolonization. As more and more people suffered in poverty, developed countries gave food and money to quell emergencies that would spark up. But the aid helped only temporarily, and the need arose again. It was under these circumstances that the term “Sustainable Development” came into being. At the 1992 Earth Summit, attendees agreed that development should incorporate sustainability and mandated a multi-prong approach. Instead of just giving handouts or concentrating on a single, top-down approach, conditions should also be in place to ensure the development of women, justice, and health. Sustainability requires that economic growth must be equitable and environmentally sustainable in a democratic society, and at all levels. At a micro-grassroots level, for example, a clean water project in a rural village is more likely to be effective if the villagers, both men and women, are involved in the planning and decision making. This involvement in the process increases local ownership of the project and therefore its sustainability. And while the water project is underway, other projects coincide: education projects to help the villagers learn about waste management in order to keep their water supply clean, and agricultural projects to grow food with the increased supply of water. This holistic approach has been more effective than the paternalistic do-gooder coming down to “rescue” the villagers from their plight. It is more empowering for the villagers to find their own solutions rather than have foreigners tell them what they should do. Beneath the surface of schoolyards, classrooms and books lies a deeper, more complex side of education. It is a multi-dimensional part of society, connected by factors that can make or break a child’s future. Any absence of these elements can create gaping holes in the quality of education, leaving millions of students underequipped. Unfortunately, in many corners of the world students are forced to face this reality on a daily basis. 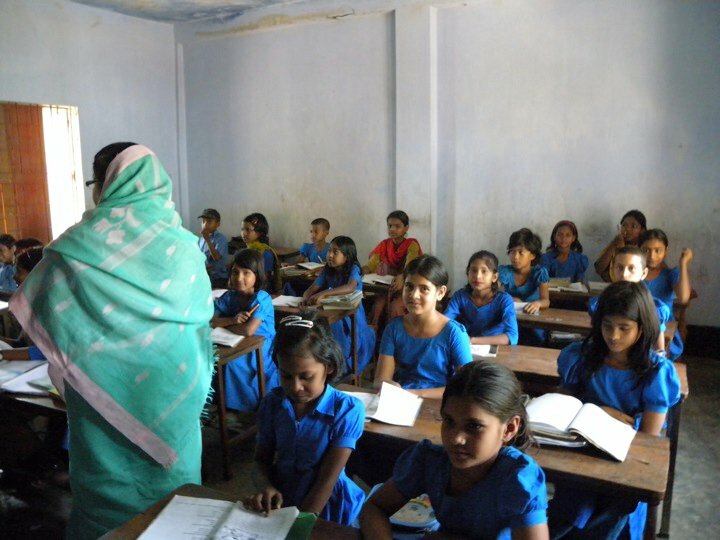 An example of this can be seen in countries such as Togo, India and Somalia, where 40% of teachers hold no formal training (UNICEF), and students fall short of standards. Preparing qualified teachers early on can have positive effects, beginning with equal opportunity for girls to receive education. In 2011, Do Good Lab partnered with Akili Dada in Kenya to fund secondary schooling for girls. Supporting higher education among these students can give them the tools they need to be successful in their careers, and can prepare future teachers to impact the generations that follow. Just as importantly, there must be adequate materials in the classroom for students to access. Insufficient supplies and run-down facilities have become a large barrier to why students are not receiving the quality of education they deserve. 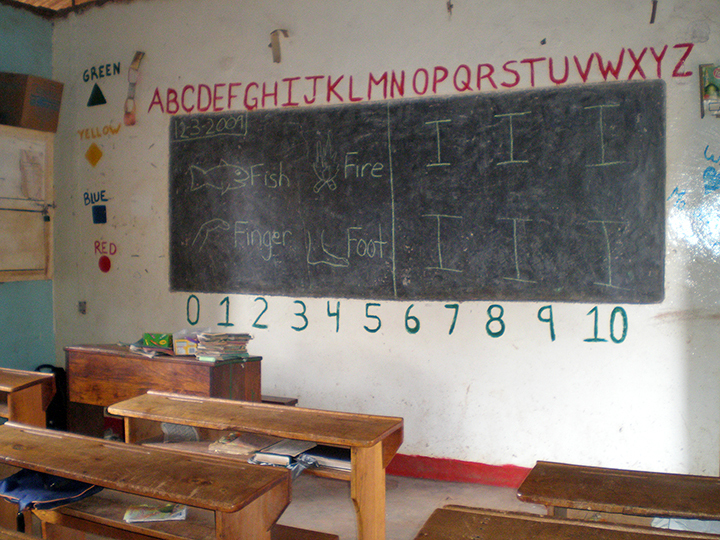 This was a problem at the Grapesyard School in Nairobi, Kenya, where students studied in poor conditions. In response, Do Good Lab provided over three-hundred textbooks and four bathroom facilities for the students last year. This assistance has provided tangible resources for a safer, more accessible environment for students to thrive. Sometimes, just making it to class can be half the battle. In rural areas, attendance can vary significantly. Students may not be able to easily commute to distant schools without adequate transportation. Do Good Lab partnered with the Pazhassi Raja School in the Wayanad region of Kerala, India, to fund a jeep for students living in remote areas. This vehicle became a lifeline for students living up to six hours away, giving many of them access to education for the very first time. While all of these elements are critical, it is just as important that there is sustainability for long-lasting results. Community involvement and increased parent/teacher engagement can greatly increase awareness for the challenges that still exist. These stakeholders must work together to ensure schools are running properly, resources are allocated appropriately, projects are fulfilled, teachers are receiving training and that students are exceeding their required standards. It is our hope that students are not simply fulfilled in what they learn, but are able to achieve the education that can pave their way to a bright future. 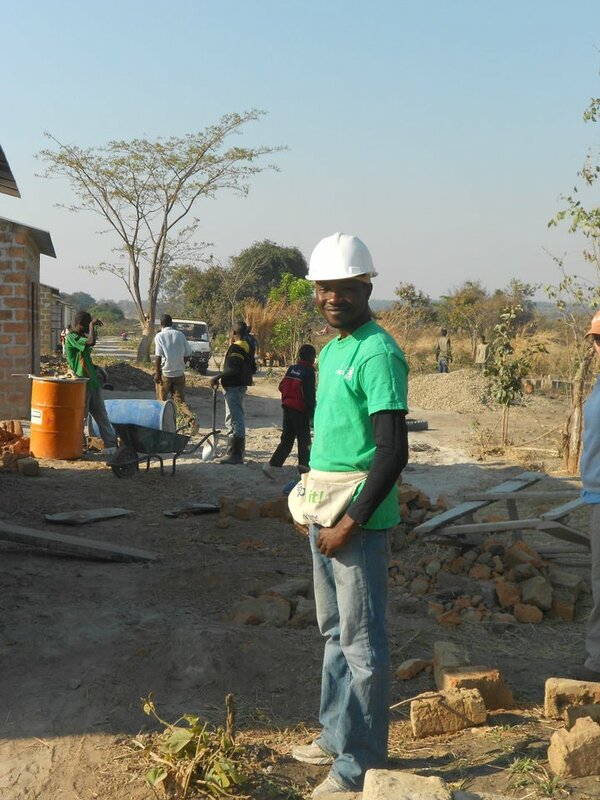 Welome back to our Volunteer Spotlight! 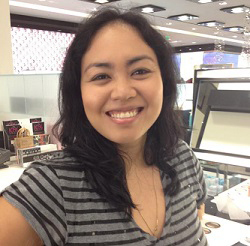 This week we introduce Rhona Lansangan, committed volunteer on our Projects Team and Member of our Board of Directors. 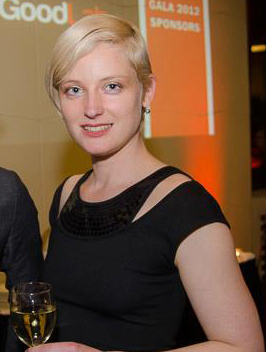 Rhona has been involved with Do Good Lab for about two years, and has worked on multiple projects involving research, education and social media. What is your “job” at DGL? I am on the board of Do Good Lab and also help out the Projects and Education Teams. What led you to be involved with Do Good Lab? I have always had a compulsion to help, I think it is something my parents inculcated in me. So, when I moved to San Francisco two years ago, I thought of joining a development-oriented organization that needed volunteers. Fortunately, my fiancé knows Kathrin Jansen, one of the founders of DGL. Once I found out about the team’s mission I was hooked. Although there hasn’t been a lot of that lately, I like to chill at home, go on road trips, bike around, hang out with friends, try out new restaurants, see movies and look for the best Eggs Benedict in the city. I am also trying to learn Italian. In the Philippines, I was an Emergency Physician. And no, it’s not like Grey’s Anatomy. Part of the reason I was adamant about volunteering in an organization like Do Good Lab was to compensate for my absence in the practice. What part of Do Good Lab are you most passionate about? I think Do Good Lab promotes an essential component of sustainability–that solutions are community-conceived and locally-led. People are more likely to follow through when they are personally invested in an idea. It’s a very powerful tool in development. 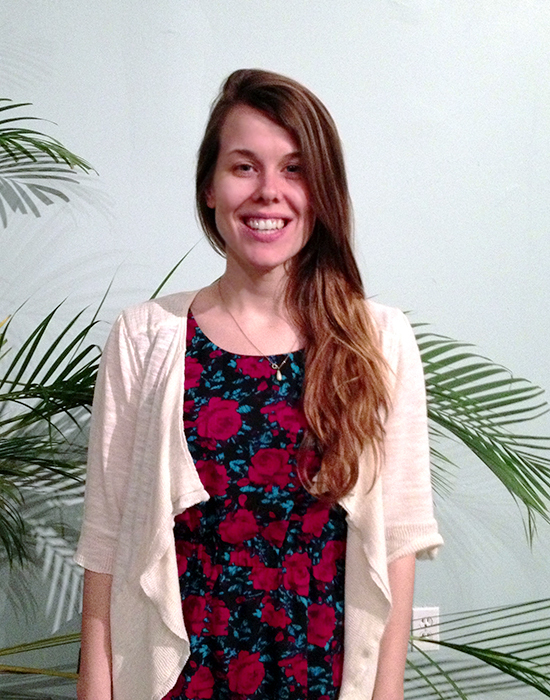 Come meet Rhona and the rest of the Do Good Lab team on the 3rd Tuesday of every month at our Community Meeting! If you are able to read this sentence, you are one of the few fortunate individuals who have had a basic level of education. Unfortunately for a majority of young girls in developing nations, having the ability to read is a privilege they are not able to enjoy. Education for women is perceived more as a privilege than a necessity. Currently throughout the world, Southeast Asia and Sub-Saharan Africa are known to have the highest rates of illiteracy, including 62% of women in Africa, and 71% in Southern Asia (UNESCO). These statistics can be traced to a variety of cultural and socio-economic factors in regions where women are not deemed fit to explore career opportunities or basic education. This is often due to preset standards of a woman’s role within the home. In certain instances, girls are subject to run the household at an early age, caring for younger siblings in the absence of a provider. In other instances, young girls are sold for a bride price before reaching the age of ten, thus dropping out of primary school to become a caretaker and wife (UNICEF). Accessibiity to attend school can also be found extremely difficult. This is seen in rural areas, where transportation is not readily available and children are forced to walk hours to school on foot (New York Times). Discouraging girls to achieve basic educational tools in the classroom significantly slows all measures of progression and development within society, feeding a population of incompatibility towards economic relief. This deficiency has left devastating effects on many countries, resulting in scarce employment opportunities, low female representation in public discourse and decision-making, and stagnant development in national growth. Ultimately, education for women should be taken into greater consideration as a clear solution to filling the voids in underdevelopment. The positive implications towards education for women are endless. Well-educated women are far less likely to have children at an early age, and contract diseases such as HIV/AIDS. Similarly, educated women are more adept to maintaining refined techniques in agricultural production, leading to an abundance of resources for their community. Education can also lead to successful business initiatives, where women have the tools to make smart investments in prosperous entrepreneurial endeavors (UNICEF). Women are the propelling force needed to create sustainable and innovative change for the future. Given a fair opportunity in education, women can significantly lift a nation out of difficulty and hardship though their important societal roles. To acknowledge this truth, education need not be considered as a rarity for the few, but an outlet for all. Do Good Lab understands these needs and is here to champion organizations that work to bring education opportunities to girls. A rising tide raises all ships. Help us accomplish these goals by donating today. Hello again. We are back to introduce the last member of the Executive Team. Last week we introduced you to our Director of Projects Shannon Radsky, and this week we are chatting with Molly Brennan, our Director Of Operations. She oversees a lot of the day to day activity, helping to make Do Good Lab run smoothly and continue to grow. I am the Director of Operations and manage the Marketing, Events, Outreach, and Volunteer Coordination Teams. I assist with the overall strategy of the organization, as well as make sure that our team leaders have all of the volunteers they need and feel fully supported. It is my responsibility to keep communication free and flowing between the teams. I work to make Do Good Lab as efficient as possible in our goal to empower locally run organizations in developing countries. What lead you to be involved with Do Good Lab? I have always been passionate about sustainable international development and empowering communities. After studying transnational women’s movements I wanted to volunteer with an organization that was successfully empowering local organizations in the developing world and creating tangible change in peoples’ lives. When a friend invited me to a Do Good Lab event in January 2011 I had the opportunity to meet two of Do Good Lab’s co-founders. I was so inspired by their passion and enthusiasm I immediately decided to become a volunteer. 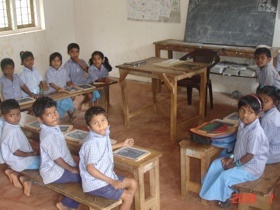 The first project I worked on was fundraising for the Vanavasi Ashram Trust. I was completely hooked when I felt the satisfaction of reaching our goal and hearing the stories from the community about the positive impact of our donation. I love cooking, baking, skiing, yoga, reading, and adventuring. What part of what Do Good Lab are you most passionate about? Building connections between people and giving a voice to our project partners. By providing a space for our partners to share how they have made sustainable change in their communities we educate our donors and provide a resource to others that may be facing similar challenges. What does Do Good Lab’s mission mean to you? To me it means giving with respect and taking the time to listen. 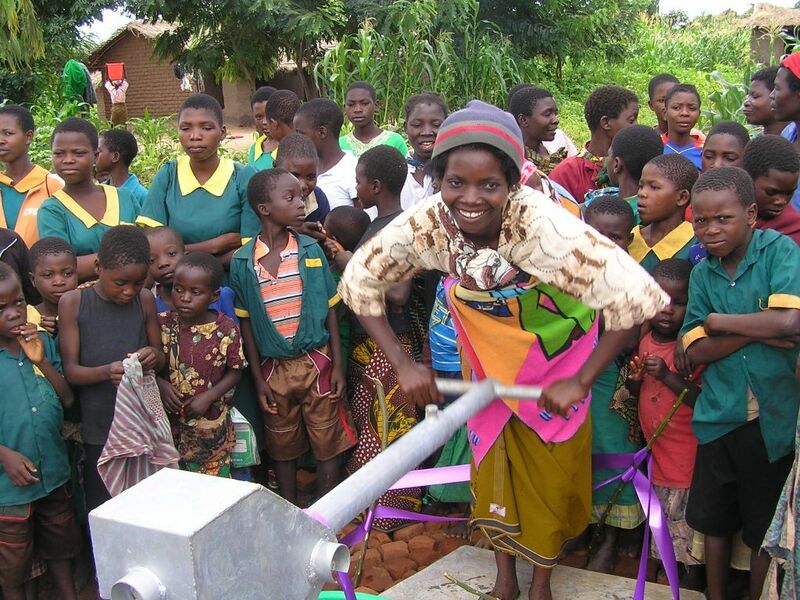 It means empowering communities and making the world a better place one project at a time. But it also means taking the first steps toward understanding the interconnectedness of peoples everywhere. Over the course of the past few months, volunteers from Do Good Lab have been reaching out to contacts around the globe. From Tanzania to Ethiopia, Guatemala to Peru, and India to the Philippines, we have orchestrated a large-scale effort to expand the reach of our organization. More than simply seeking out new partnerships, we hope to build networks within Latin America, South and Southeast Asia, and Africa. In these areas there are thousands of local organizations employing sustainable initiatives. We want to share their stories and support as many of these programs as we can. To reach the parts of the world where Do Good Lab is still unknown, we connected with Peace Corps volunteers, friends, family, former teachers, and new acquaintances living abroad. Through email, Skype and telephone conversations, they have helped us discover new and innovative non-profits. After making first contact, the organization is encouraged to speak with myself, the Director of Projects, to answer any questions about Do Good Lab’s mission, the application, and the eventual grant-making process. We recognize that building awareness around Do Good Lab is no small feat. We wish to thank everyone that has facilitated the connections and communications that will make this year a success. If you know a locally envisioned and led organization in the developing world, working toward sustainable initiatives to improve the living conditions of its community, please encourage them to contact us. Stay tuned to our blog, and follow us on Facebook for announcements of this year’s project partners. Last week we introduced you to our Executive Director Aezed Raza, and this week we would like you to say “hi” to Shannon Radsky, our Director Of Projects. Her passion for our project partners is contagious, so if you ever come to one of our events be sure to ask her what our partners are up to. What is your job at DGL? I am the Director of Projects and I oversee the Education and M&E (Monitoring and Evaluation) divisions of Do Good Lab. This includes reviewing applications, engaging with project partners, and conducting research. This January Do Good Lab had an election for a new Executive Team, who will formulate the organizational structure and strategies for 2013. While we announced who they are, we thought you would like to get to know them better. 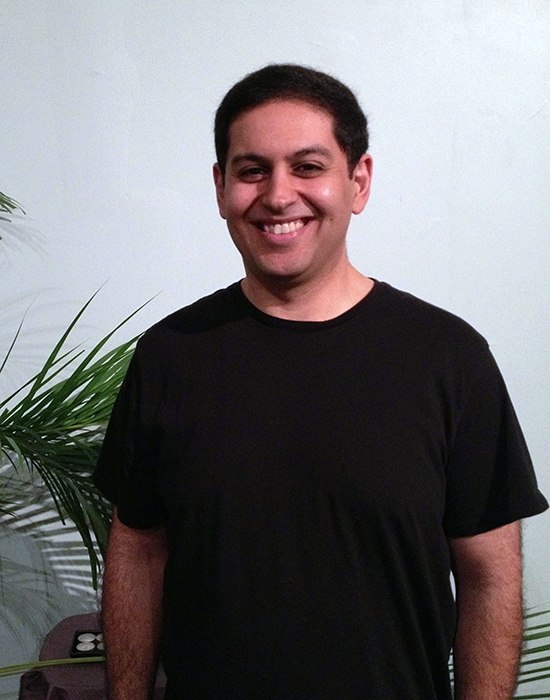 First up I want to introduce you to Aezed Raza our Executive Director. 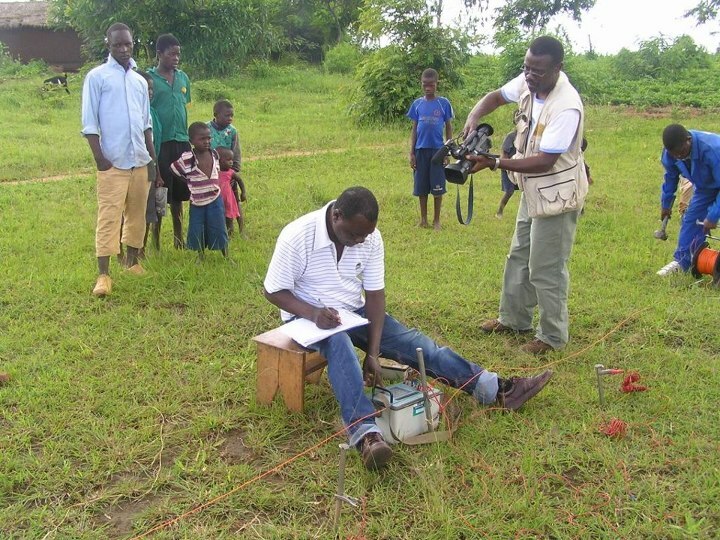 Global Hope Mobilization Borehole Project Begins!